Every business wants to show its products in best possible light, and the folks at Ridetech have found the perfect way to showcase its state of the art suspension systems with an overly cool project car. The 1967 Chevelle that the guys are currently building, deserves time in the spotlight, so that we might all see the extraordinary craftsmanship that is being expended on this artful combination of classic Chevy styling and modern performance. We first introduced you to the Ridetech Chevelle back in August 2017, and you can check out the original article here. 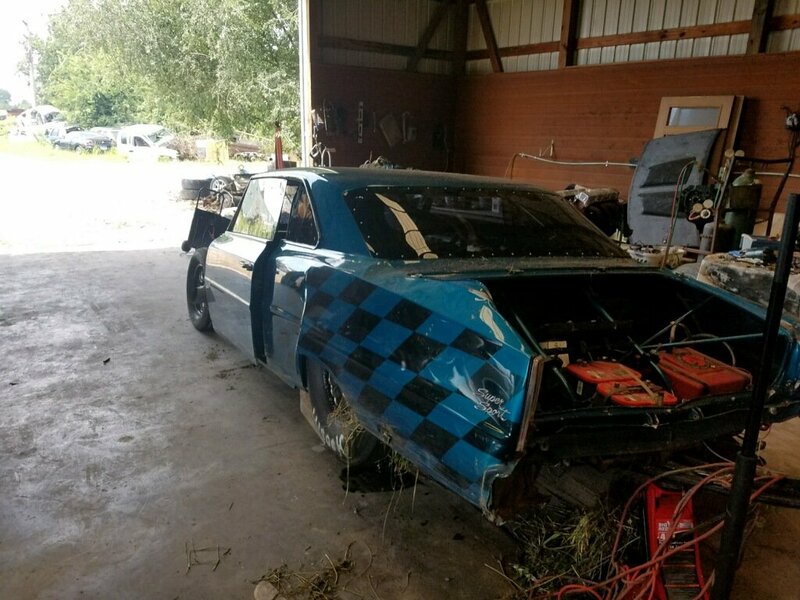 Once it’s finished, this Chevelle will feature a host of upgrades that will have completely transformed its character. Yet, in the beginning, the 52 year-old A-Body that became the basis for this project was a well-preserved Malibu with a milquetoast 283 powerplant and a timid two-speed Powerglide transmission. Complete with a bench seat and a column shifter, it was mostly rust free, and straight as an arrow. While obviously a well cared for survivor, it was also the perfect canvas for Ridetech to express its vision of what a world-class touring machine should be. The front bumper is modified to hug the car and direct fresh air to the engine and cooling system. Ridetech’s co-founder, Sharon Voelkel, is the guiding light for this project, and she has enlisted the aid of some of the best automotive artisans available to make her state-of-the-art Chevelle a reality. 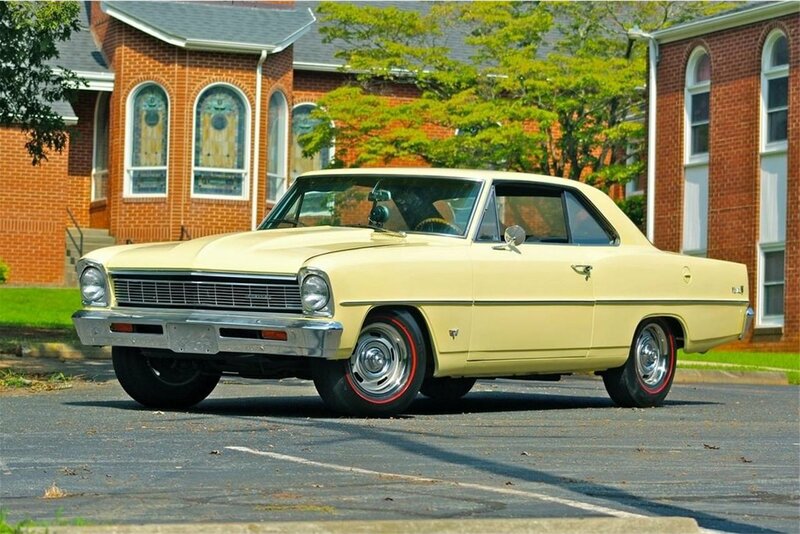 Lead fabricator, Kurt Blackgrove, has recently put the wraps on the principal construction of the car, and the bare-metal beauty of his handiwork is fully visible until the Chevelle is delivered to Smitty’s Custom Automotive in Tiffen, Ohio, for paint, plating and final detail work. Recovery Room Hot Rod Interiors in Plattsmouth, Nebraska, is slated to provide premium leather upholstery for driver comfort. There are unique features incorporated into this Chevelle that will require a trained eye to notice, but that is part of the car’s attraction. Admiring the myriad of subtle details will keep you occupied for hours. Take for instance the front and rear bumpers. They’ve been narrowed and pulled in closer to the body. They’ve also been reshaped to visually blend with the fenders. The front bumper has been modified to incorporate engine air intakes on its flanks, and a cooling system intake in the center. There’s also reason to pay particular attention to the inner wheelhouses. They look like mildly modified stock pieces, but they’re not. They’ve been custom-made, to provide proper clearance for the suspension components. Then, there’s the custom firewall with the recessed Corvette power-brake booster, the barely visible steering shaft, and the custom built duct work that feeds fresh air to the LS3 engine’s Edelbrock cross-ram EFI intake. In short, there’s not a square inch of this classic Chevelle that hasn’t been remade into something unique. The LS3 engine is equipped with an Edelbrock EFI Cross-ram intake, and custom-made ducts provide air flow. 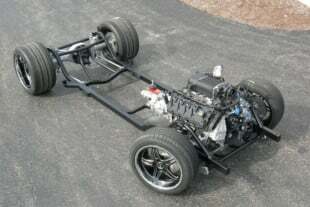 Naturally, Ridetech has earmarked its finest suspension components to this project. It is fully equipped for racking up serious miles as a true driver’s car. A complete Ridetech Air Suspension System for 1964-1967 GM A-Body cars is being used on this Chevelle, and ride height will be controlled by a RidePro-X Digital Air Suspension Leveling System. A Currie Enterprises rearend will transfer power to the pavement. There’s still a lot of finish work to be done on this car, but the pathway to its completion is clear. We know there are plenty of eager eyes waiting to see it when it’s complete. We’ll be following this one closely.